Telstra is revising its health and safety requirements for contractors, after one of three safety-related research projects - undertaken as part of an enforceable undertaking - advised the telco to make its HSE framework and other safety documents available to third-party contractors who might work on its assets. No employer wants to face court after a workplace safety incident, but the alternative is far from an easy option. In this article, a safety regulator outlines the steps involved in agreeing to an enforceable undertaking. Australian Air Express (AaE) has released a research report - as part of an enforceable undertaking that required it to provide the report to OHS Alert - containing 32 recommendations on how to enhance safety leadership and involve staff in developing safety management systems. John Holland Pty Ltd has been handed the maximum OHS fine and made to enter an enforceable undertaking after an employee fell to his death and two near misses went unreported. 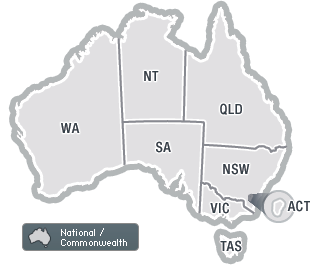 Commonwealth employees regain recess compensation; Comcare accepts TPI undertaking after three injuries; Queensland's harmonised Regulations approved; and Fatalities increase as regulator investigates Western Australian bobcat death. Assigning pregnant workers "safe" jobs could be illegal; and Regulators release alerts and guides.